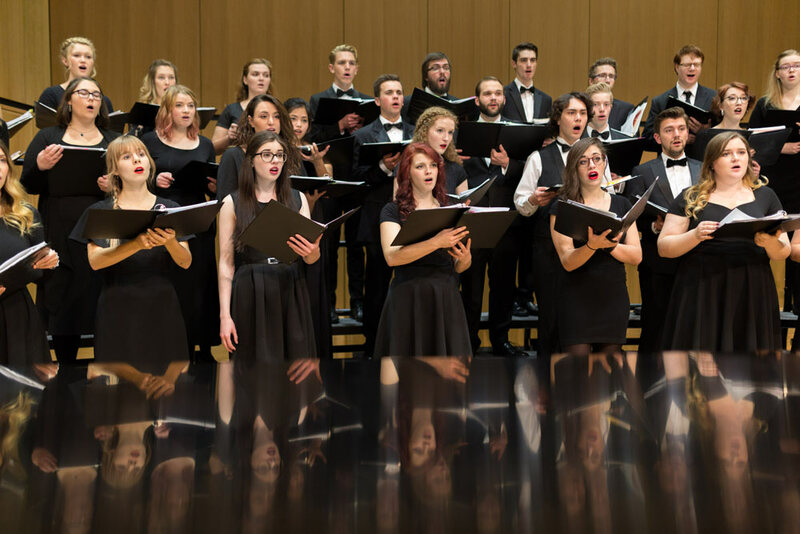 The U of L Singers are an auditioned mixed chamber choir that includes music majors and talented non-majors across campus. The choir was begun by Emeritus Professor George Evelyn in 1982, and has enjoyed many years of success. The choir performs in a wide variety of styles, and has premiered several works by Canadian composers including Ruth Watson Henderson, Dean Blair, David Squires, and Lydia Adams. The group has performed as invited guests at the national conferences of the Association of Canadian Choral Conductors, the Alberta Music Conference, and has been a finalist in the CBC Amateur Choir competition on several occasions. In spring 2002, the Singers competed at the Cork International Music Festival in Cork, Ireland. Dr. Youngdahl is thrilled to be conducting this ensemble and hopes to involve the choir in some on-going research into the performance of early polyphony and chant. Please sign up for a brief audition. Sign-up sheets are posted on the bulletin board near W756. Please bring music for the accompanist.